Reboot to Restore Technology by Faronics makes Endpoints indestructible. Deep Freeze is the ultimate workstation protection solution. 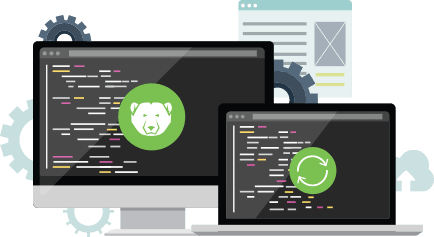 With its Reboot to Restore technology, our solution secures configuration files and core operating systems on a server or a workstation. Once installed, the software establishes a baseline which is essentially the point to which the computer would revert to once the reboot is completed. The application leverages patented technology to redirect cloned data from the hard drive to an allocation table while the original data continues to remain as is. Reboot to Restore has grown out of the necessity for a user- and time-friendly alternative to other solutions. Computers shared by various users, such as those used in schools, libraries, hospitals, public kiosks, and so on, are prone to system and security related risks. Users end up with unwanted files or malware infection while attempting to install a program. However, the fix to these problems is simple yet effective – Reboot to Restore. Deep Freeze Reboot to Restore Windows comprehensively protects Windows OS devices. By securing and retaining administrator-defined configuration, endpoint protection is achieved on Windows machines. If an end-user made changes, such as software misconfiguration and unwarranted application installation, the system can be reversed with a restore on reboot. Baseline configuration, as decided by the IT admin, is established when the system returns to its pristine frozen state. Any end-user made changes are saved as cache. It gets reflected on a separate allocation table. On executing a system reboot, the cache is not referenced, and baseline configuration is restored. Therefore, Deep Freeze for Windows restore baseline configuration and reverses end-user actions that alter preset configurations. Deep Freeze uses patented Reboot to Restore technology. It reduces IT tickets and helps boost user productivity. End-users are empowered to resolve IT challenges themselves with a simple reboot. This clearly reduces downtime and IT intervention. Be it rugged on-field systems, classroom and lab computers, computers-on-wheels in hospitals, or even point of sale systems, Deep Freeze achieves indestructible protection on Windows OS. Deep Freeze Mac Restore makes iMacs and MacBooks comprehensively secure. It protects endpoints by freezing the administrator-defined system configuration. Every system reboot reverses all changes made by the Mac users, be it a malicious download, data encryption, or unwarranted application installation. By returning the system to its pristine frozen state, Deep Freeze helps establish predefined configuration all over again. 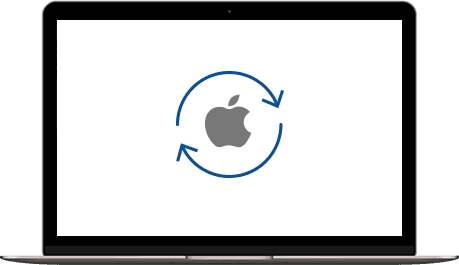 The software leverages restore on reboot technology, that empowers Mac users to resolve system issues themselves with a simple yet effective reboot. Mac devices, that are used as classroom and lab computer systems, point-of-sale computers, or for other public access utilities, are rendered indestructible with this Reboot to Restore solution. It redirects end-user made changes as cache, which gets reflected on a separate allocation table. On executing a system reboot, the cache is not referenced, thereby, restoring baseline configuration. Therefore, Deep Freeze for Reboot Restore Mac facilitates the retention of critical baseline data, while dismissing what overrides predefined settings. With Deep Freeze Cloud, Faronics has ensured Reboot to Restore can be provided in the form of Software-as-a-Service (SaaS). The cloud solution contains all the comprehensive and robust features as our On-premise solutions. Among other things, these include remote-yet-unified management capabilities, user-friendly deployment and other Faronics solutions, as well as automated updates and maintenance, and retention of essential data while clearing out unwanted, system-draining additions. It also includes “ThawSpaces” that store away essential system information in “Data Igloos” so that nothing is lost during reboot restore cycles. Reboot to Restore is easy to install and use, and user data can be retained. Reboot Restore Software provide users with an easy solution when end point systems are not performing up to their optimum potential. The Reboot to Restore solution has evolved over the years, and there have been as many versions of this software as there have been versions of operating systems – the former always updated to suit the features of the latter. However, independent solutions have gone a long way in course-correcting this trajectory. A system recovery feature such as Reboot to Restore has always been an important aspect that has been folded into the larger functionality of Windows operating systems. For instance, Windows Steady State Software, the discontinued freeware, was a reboot restore system tool, which users could leverage to reset their systems to a former steadier state of functioning. With Windows Vista this system recovery feature gained prominence as Windows System Restore. It was designed to leverage Windows’ Shadow Copy feature which could create snapshots of user hard drives. From Windows 7 onwards, this feature was further fine-tuned and tweaked. Even though the functionality has varied from version to version, users can still take manual snapshots of their work stations. Additionally, Shadow Copy-powered backup tools can even take snapshots of the hard drive through an automated process. Given the numerous and disparate Reboot to Restore solutions that have been available on the market, Faronics created its solutions to make endpoint troubleshooting a simple and hassle-free task for users. As a replacement for more complicated methods such as re-imaging, software reinstalls, Deep Freeze solutions have been designed to restore workstations to a pristine, pre-configured state with a simple press of the restart button. Our Reboot to Restore solutions has proven expertise to extend computer lifecycles to a significant degree by not only simplifying system recovery, but providing a tough shield against zero-day vulnerabilities. Further, Deep Freeze’s Reboot to Restore solution has also facilitated increased productivity through a drastic reduction in ticket generation – by 63 percent, thus, reducing redundancies in communication protocols. 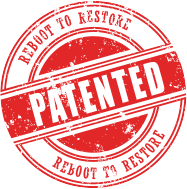 As discussed above, Faronics’ patented Reboot to Restore technology offers multiple benefits for users and IT administrators looking for a simple way around complicated configuration problems. But how does Deep Freeze achieve these results? The software simply redirects data that has collected on a user’s hard drive to an allocation table while leaving the original data as is. Whenever a computer restarts, the redirected information on the allocation table is no longer referenced. This means that no data is disturbed during a reboot restore cycle. The recent WannaCry debacle has provided ample evidence of the growing threats posed by ransomware and malware. One of the main reasons WannaCry was able to spread rapidly was because it was able to exploit a loophole in Windows Vista and subsequent versions of the Microsoft OS. While sophisticated threats call for sophisticated solutions, sometimes having a simple Reboot to Restore solution on hand will go a long way in protecting workstations against pre-existing vulnerabilities. 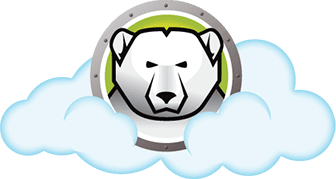 With Deep Freeze, users can protect themselves against these threats with a single reboot. Faronics’ Deep Freeze solution has been designed keeping in mind the need for user-friendly configuration solutions. This is a reboot to restore technology that goes the extra mile in protecting computers and workstations. 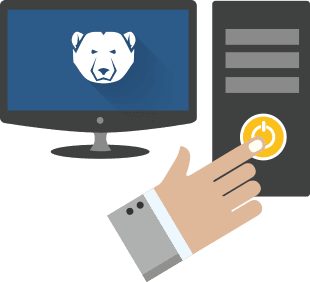 For this reason, Deep Freeze includes several endpoint protection features that enhance their performance and lifecycle. As external threats to systems become more and more sophisticated, it is important to be able to anticipate, rather than react to them. It is essential to have protection in place that is equipped to handle security breaches proactively rather than as a reaction. Deep Freeze is designed to mitigate the need for security measures that are intrusive and reactive. All the unwanted malwares are removed upon reboot and your system config is back to the pristine state. 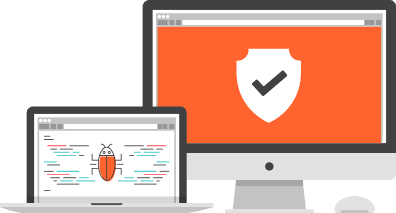 Defend Against Phishing Attacks: Phishing has always been and remains one of the primary threats to user systems. Deep Freeze reverses these threats through Restore on Reboot function combined with Deep Freeze Antivirus. If any threat manages to pass through the Antivirus net, Deep Freeze will eliminate that threat upon a simple reboot. Lawnswood School was facing challenges in maintaining its 650 workstations, each of which encountered concurrent system issues arising from various glitches. For these reasons, Reboot to Restore became the go-to solution. Sometimes, system restore seems to be a simpler solution that restores the computer to its original configuration, rather than identifying and fixing bugs. However, it keeps machines out of commission for hours or days in some cases. Deep Freeze enabled this in a matter of a few minutes. 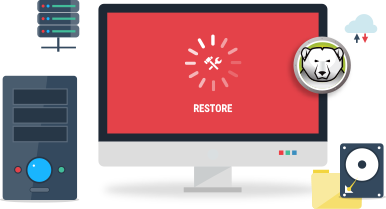 Reboot to Restore has the capacity to facilitate windows system restore within minutes. 911 Emergency does not necessarily have the time to communicate with IT regarding system challenges since extreme emergency demands an immediate response. Deep Freeze’s Reboot to Restore has allowed officers of the LAPD to troubleshoot with ease. 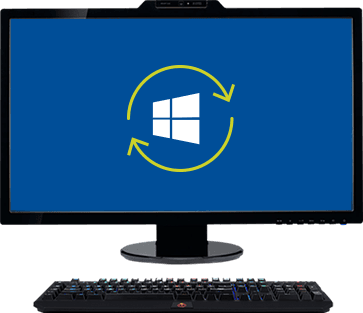 A simple restore on reboot solution is all it takes to restore windows to its original configurations. Franklin Healthcare Associates had 250 workstations spread across different locations and found it extremely difficult to complete critical tasks when a vast majority of their systems were found to be infected. Reboot to Restore was found to be a powerful solution, extraordinarily reducing the load on IT from 3-4 hours to 2 minutes. With the solution installed on systems, users hardly felt the necessity to connect with IT as they found a quick fix in Deep Freeze. Hence, Reboot to Restore enabled the department to focus on more critical tasks, and improve their operational efficiency.